Though it's been years since the last book's release, Harry Potter is getting itself a little makeover. To celebrate the 15th anniversary of the publication of the first book, Harry Potter and the Sorcerer's Stone, Scholastic is releasing a box set of all seven books this September. The books will all feature brand new covers, but only the first cover has been released. The new artwork is by Kazu Kibuishi, author of the graphic novel series Amulet. 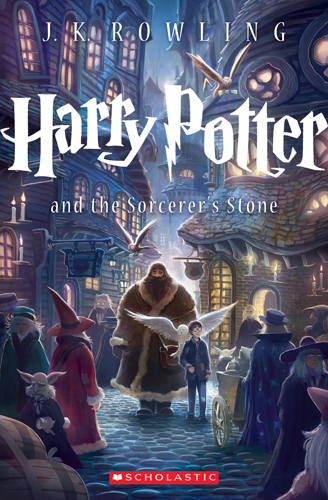 "The Harry Potter covers by Mary GrandPré are so fantastic and iconic," said Kibuishi. 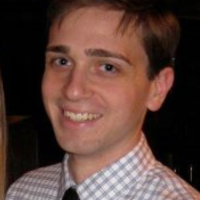 "When I was asked to submit samples, I initially hesitated because I didn't want to see them reinterpreted! However, I felt that if I were to handle the project, I could bring something to it that many other designers and illustrators probably couldn't, and that was that I was also a writer of my own series of middle grade fiction. As an author myself, I tried to answer the question, 'If I were the author of the books - and they were like my own children - how would I want them to be seen years from now?' When illustrating the covers, I tried to think of classic perennial paperback editions of famous novels and how those illustrations tend to feel. In a way, the project became a tribute to both Harry Potter and the literary classics." It's hard to believe Harry Potter is 15 years old, huh? Though it seems a little young to me for cosmetic work, no judgement here, we all do what we have to to feel good about ourselves.